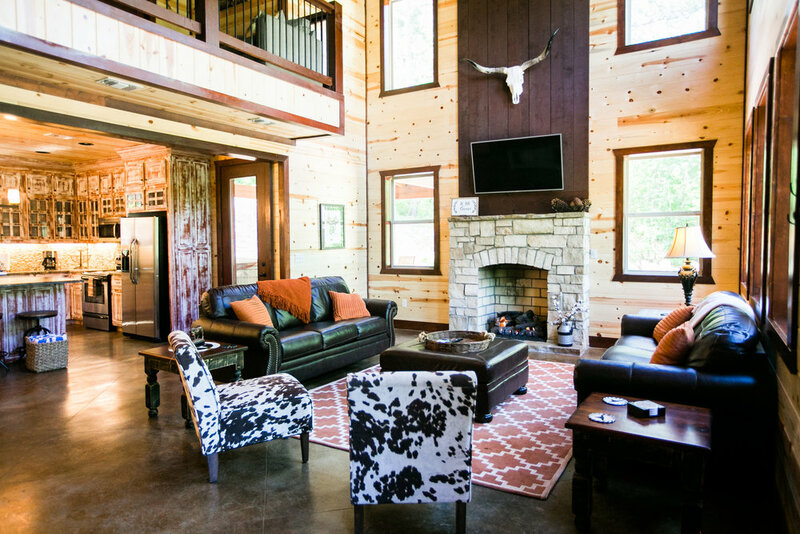 On the Rocks" is a spacious, new luxury cabin in the popular Timber Creek Trails South development near Broken Bow Lake and Beavers Bend State Park. This gorgeous cabin, built on a hillside, is surrounded by the beautiful towering pines and hardwoods of the Ouachita National Forest. Friends, family and children will surely enjoy all the space available for both indoor entertainment and outdoor activities. 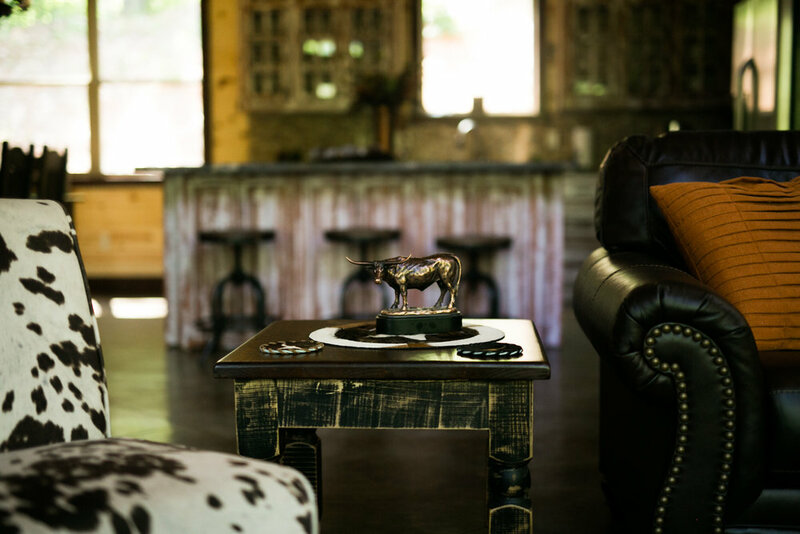 Guests will find many options to relax and enjoy a great night's rest in any one of the 5 bedrooms at "On the Rock". The master King bedroom is located downstairs and has a private full bath with a walk-in shower. Also located downstairs is another King bedroom and full bath. Upstairs you'll find 3 bedrooms; two with queen beds and another with a Queen bed, Twin bunk, and a trundle bed to sleep 11 upstairs. 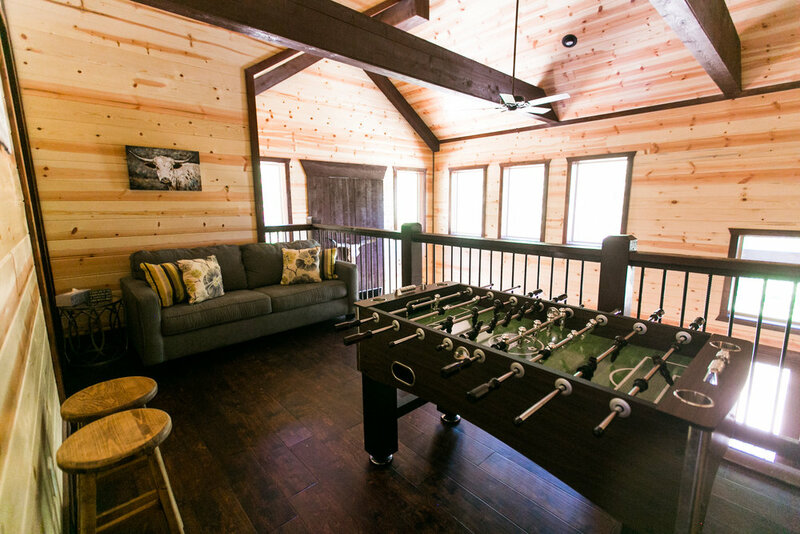 The game room upstairs overlooks the downstairs living area and features a queen-sized hide-a-bed and a foosball game for family fun. There are also 2 full baths upstairs. 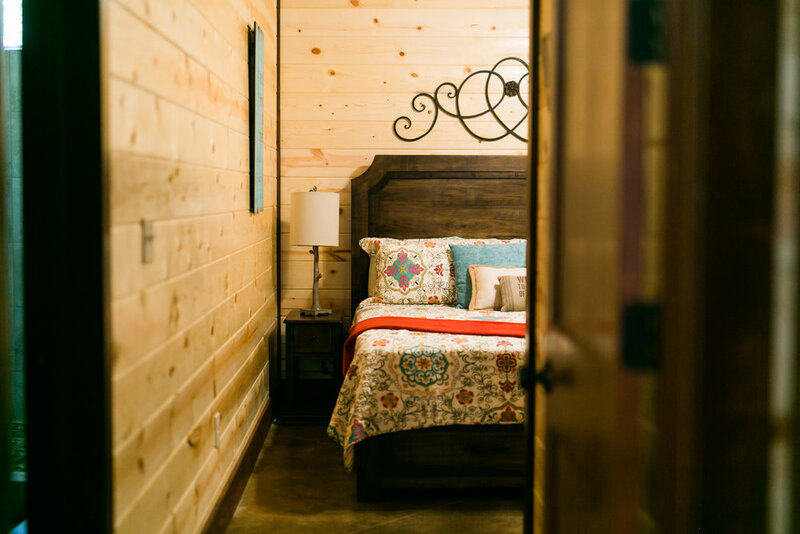 The cabin sleeps 14 comfortably; all in beds! Outside entertainment includes a large hot tub under cover on the main patio, a large gas grill, a dining area, and a large fire pit. 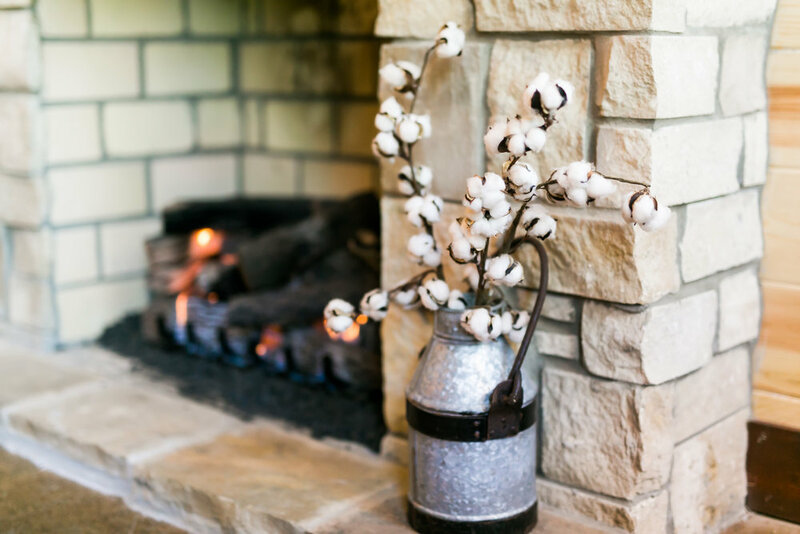 Also guests will enjoy a game of horseshoes and corn hole near the fire pit and outside patio. Around the front side of the house is also an outside seating area perfect to enjoy a peaceful morning with that first cup of coffee. The views from the patio, fire pit, and porch area are simply amazing. 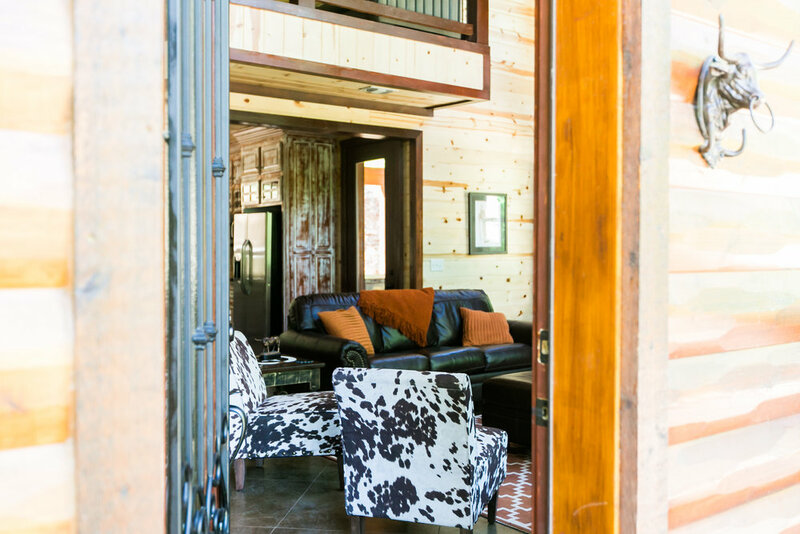 Because the cabin is truly built on a hillside, you are surrounded by a luscious forest ready to be explored!